An excellent cover crop with broad heart shaped leaves that fill in quickly, smothering out weeds. Pretty white perfumed flowers are loved by bees. 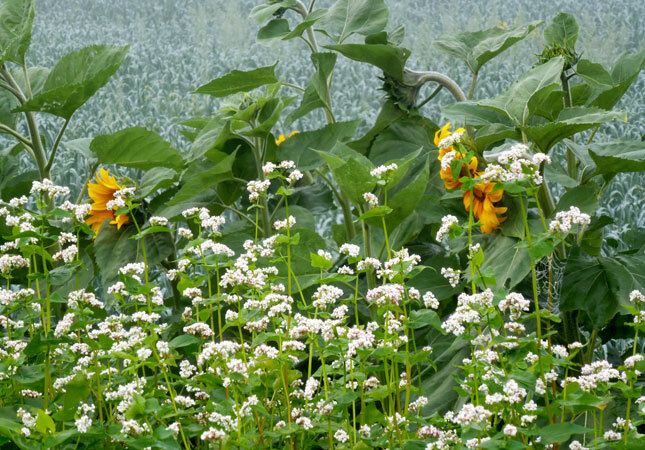 Buckwheat is a good green manure - till young green plants into the soil to enhance soil fertility. Scatter seed on earth in spring and rake in. Will self-sow readily - so cut back after flowering to prevent reseeding. We are experimenting with using the grain-like seeds for food.